We're slowly expanding our focus from student pencils, to name tags, to seating. Today, I'd like to zero-in on table supplies. These are *not* general classroom supplies- we'll get to those soon- these are just the supplies that students use at their table spots. If your students have desks, this would include their personal supplies. If you are new to this monthly challenge, welcome! 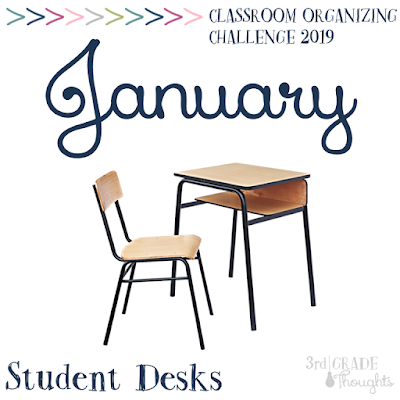 There is a new focus each month and we're starting small with student desks/work spaces and growing from there. Be sure to go back and reread the work we've already done so you're all caught up. We have all of our supplies as community supplies, which is both easy and daunting. Because students don't have their own personalized set of markers, for example, it can be difficult when we are all trying to color something like the globe and need 26 green and blue markers at the same time. 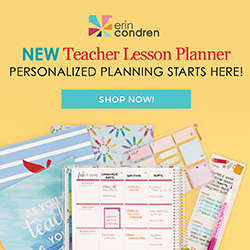 On the other hand, it is so much easier to keep track of things and know that we can quickly begin a project because there are 26 sets of scissors and glue sticks all available and ready to go. I'm going to begin my focus on this system, since that is what I use and know, but I will be offering some desk suggestions as well. Please include more in the comments if you have anything to add! As with any organization project, I have found it to be all about having a specific spot for each specific supply. This does require six sets of any bins, cups, and tray that I purchase since I have six tables in my room, but the uniformity doesn't just look nice, it ensures that every child can put supplies back where they belong now matter what table they are working at or what project they are completing. Labeling is also key, as well as teaching how and where to replace items into the bins. It may seem redundant and silly to be teaching such specifics at first, but it ensures that *you* are not the one organizing and redoing these supply baskets throughout the year. That responsibility falls to the students using them, so explicitly laying all of this out at the get-go is crucial. To begin, I try to get supplies like scissors, types of markers and colored pencils, and glue sticks, as identical as possible. This is to make it as quick as possible to clean up, as well as replace old items without stress. Take a look at my Table Supply Bins post HERE for detailed information and visuals about these bins in my room. If your students have desks, you will need to measure to make sure, but the white Sterelite bins linked above fit into many desks and can hold students' individual supplies without the mess. They can just pull it out like a drawer and even bring it with them around the room if they are working elsewhere. These two bins together can not only keep your students' desks organized, but prevents everything from sliding out of the front. They also prevent the dreaded shoving-into-the-back-of-the-desk solution that can be a form of "cleaning up" for some kiddos. We worked on Student Numbers in Week 1 and it would be so easy to continue this to students' individual supplies. A Sharpie number covered by a small piece of Scotch tape on the end of markers, color pencils, and on the handles or blades of scissors (without the tape) can make lost supplies simple to get back to their owner. No matter what table supplies system you have in place, ensuring that they *stay* clean is another job of the students. A Desk/Bin/Cubby Fairy who stops by unannounced and gives rewards to those with clean desks/bins/cubbies. Read more HERE. 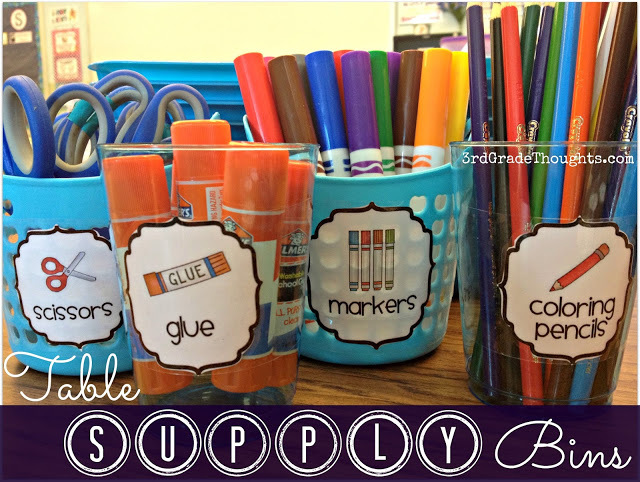 Where do my students go to get markers, scissors, glue, etc.? Are supplies communal or individual? If supplies are communal, how can I create uniform bins with necessary supplies? Where will communal supplies reside when not in use? Will they stay on the table or be moved to another dedicated location? How will students know what is "clean"? 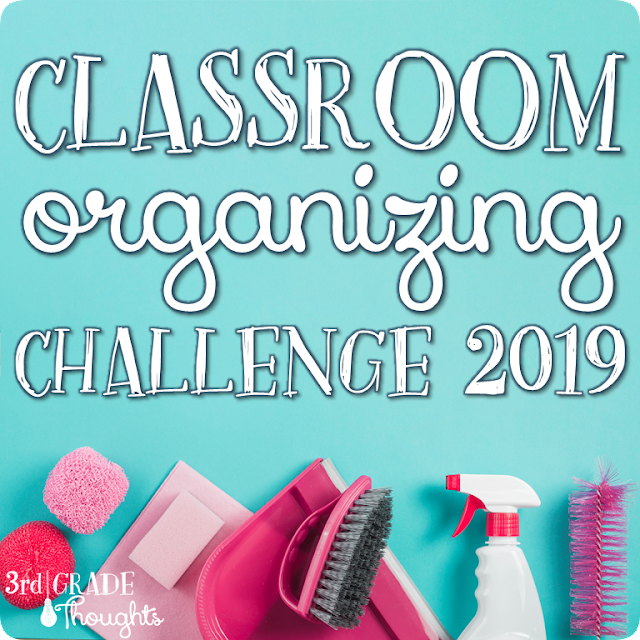 How will tidiness be reinforced (class job, Desk Fairy, teacher inspection, etc.)? If supplies are individual, how can they be stored in a tidy way? Can they be labeled? 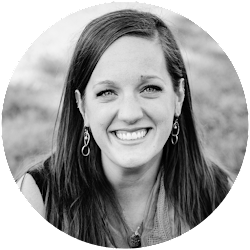 Join me next week when we dive into the final part of January's challenge!